The E18 Western Corridor comprises a road system from Lysaker in the east, to Asker and beyond in the western direction, the first stage being Lysaker to Ramstadsletta. In its Report to the Storting on the National Transport Plan (NTP) 2018-2029, the government included a comprehensive and coherent upgrade of the E18 Western Corridor. Aas-Jakobsen is the Norwegian Public Roads Administration’s contractual party, and is responsible for the project management. Aas-Jakobsen AS and its network are working with several companies to ensure that all the disciplines are represented in the engineering design work. These are ViaNova PT AS, GeoVita AS, Plan Arkitekter AS, Electronova AS, Grindaker AS, Asplan Viak AS, NGI, Nilu, Brekke & Strand AS, Safetec AS, LPO Arkitekter AS and Ingenia AS. • New E18 from the Lysaker River to the middle of Ramstadsletta, a total of almost 5 kilometres. 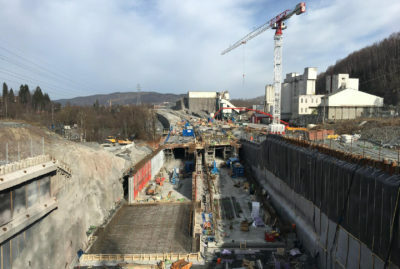 • Approximately 500 metres of tunnel for the E18 at Stabekk, and approximately 1900 metres of tunnel from Strand to the west of Høvik Church. • E18 to get 3+3 continuous lanes on the section. 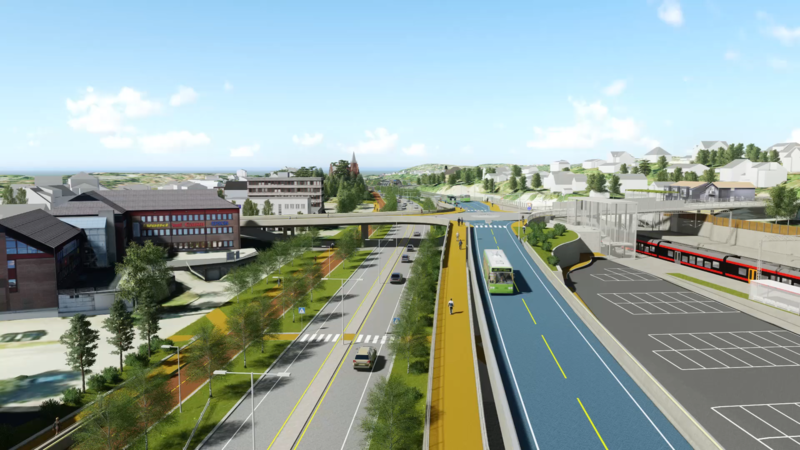 • Between Strand and Høvik, the current E18 will become a local road with 1+1 lanes. • Exclusive bus lane on the entire section, with stack interchanges. • Uninterrupted main cycle lane on the entire section, with stack interchanges. • Gjønnes Tunnel - new cross-connection in the tunnel from Gjønnes to the E18 at Strand. Tunnel length of almost 2 kilometres. 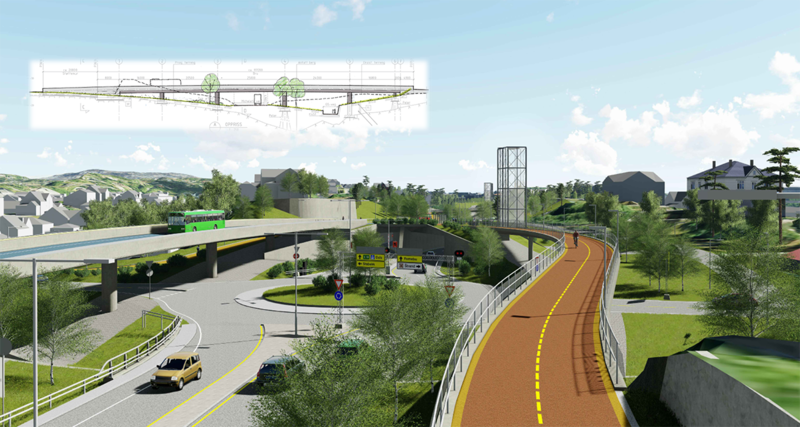 • Western link - new access road to Fornebu, also for buses. • Better facilities for cyclists. • Smoother traffic flow for all road users. • Facilities in place for future community development and urban development. A good working relationship and close cooperation with the client on the implementation of the zoning plan for Lysaker-Ramstadsletta is an important factor in this project. The project is complex, with multiple interested parties who have asked for changes to the project. There have been a great many contributors who have helped to ensure that the project now has an approved zoning plan which forms the basis for the Lysaker to Ramstadsletta construction plan. As an important contributor, Aas-Jakobsen has been instrumental to finally completing the plan for road expansion west of Oslo. This is a project which will affect and improve the general transport experience for many people.